neighborhoods ending back in the center of town. While running, you will enjoy live entertainment as well as lively water stations. Hopefully those will be memorable as you will be encouraged to vote for your favorite entertainment and most spirited aid station. Summerville has been recognized as the birthplace of Sweet Tea. With its uniquely small town feel and southern hospitality, Summerville has a lot to offer. This race will benefit a Fire and Police benevolent fund and Dorchester EMS. Please join us for the 5th annual Summerville Sweet Tea Half Marathon this November 10, 2018! The 10K registration is $40 and you still start with everyone else in the same start line. The bib is still chipped and official time recorded. Thank you to all the runners, volunteers and sponsors for this year’s Half Marathon and 10k. We are proud to say it was a big success!!! Special thanks to our course chairperson David Bourgeois. Adding the 10k was a huge task and well done! Zest Grill is offering one free beer to all of age participants after the race. 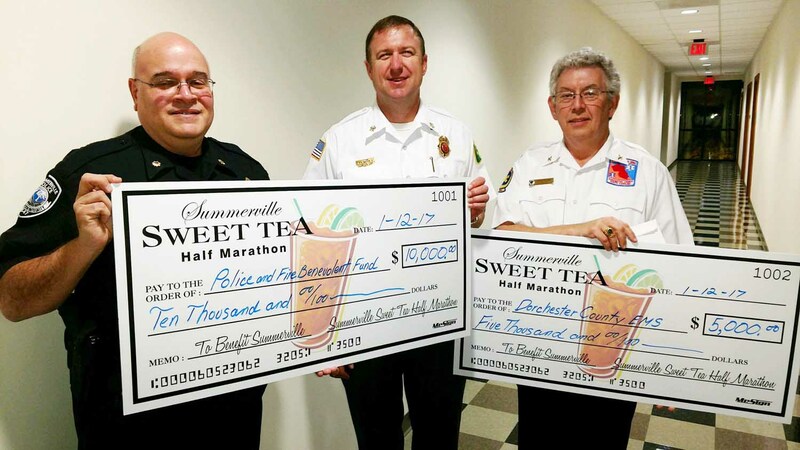 Each year, the Sweet Tea Half Marathon has donated thousands of dollars to our local Police, Fire and EMS. 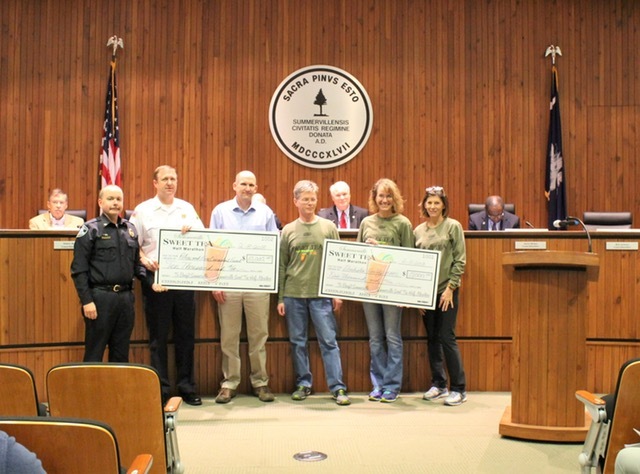 We continue to donate to various scholarships and our local first responders and appreciate the hard work they put in each day and on the day of our runs. You really were awesome. It was a great race, great course, a great Saturday. Yes, thanks to all the volunteers and people who came out in the cold to cheer us on with singing, music, and words of encouragement. 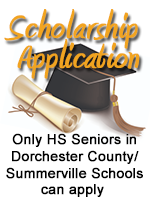 Summerville is a wonderful city.!!!! Thanks everyone for the cheers along the way from all the volunteers! It was Crossroads Community Church. The youth did a great job! Well needed on our chilly 13.1 miles! Thank you to for organizing this race and to all the volunteers and police for helping. I was nervous at first going through all the neighborhoods but it was well marked. And thank you to the local businesses the mimosa and beer at 9 am tasted great. Great job!! I had a great time for my first half. The support all along the route was awesome. The race was wonderfully organized. The volunteers and cheering people were great. The support on Summerville businesses demonstrated our awesome community spirit. We couldn’t have asked for ( or gotten) better race support- both organizers and volunteers. Thank you- you were all so appreciated! Thank you! Thank you! Thank you! The volunteers, the police, the crowd support and the race was great! Looking forward to next year’s Sweet Tea Half Marathon!